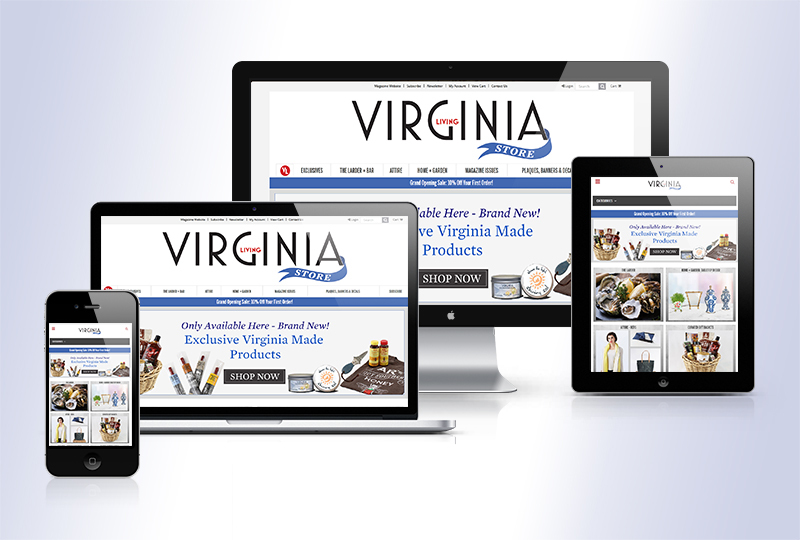 A magazine e-commerce website for Virginia Living needed a “whole lot of lovin‘.” How did a print magazine with a distribution of half a million issues and a web audience of over 100,000 people let their e-commerce store get so outdated? 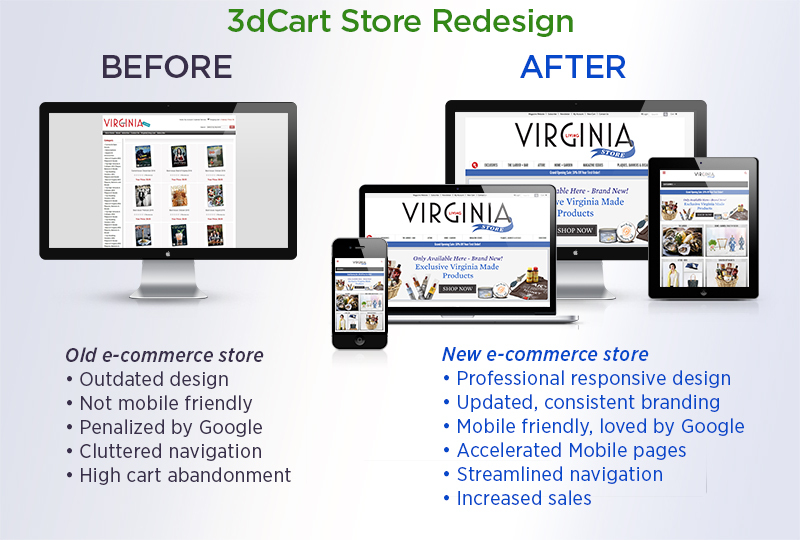 With an embarrassingly neglected, outdated HTML 4.0 store design that dated back to 2009, they realized that it was time to redesign the 3dCart store theme and take an in-depth look at merchandising as they made the move to add drop-ship products that we sourced and added for them. The navigation had grown like a weed down the left side of their old HTML 4.0 store, making it hard to find back issues, decals and plaques. Their old e-commerce store was penalized by Google because it wasn’t mobile-friendly. We re-organized the navigation for a first-round redesign, sourced products for drop-shipping and configured Advanced Shipping Manager to make it possible to set shipping rules and constraints for specific products in 3dCart. By the time we launched the full redesign, we had added 80 new products, images and descriptions with individual shipping rules making it possible for the magazine to grow its e-commerce business and increase sales, right before the holiday rush. 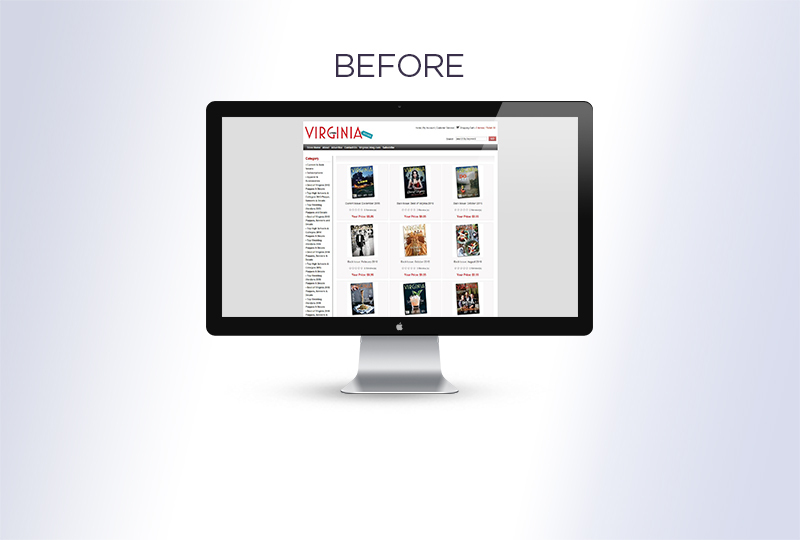 The new modern design is brand-consistent with their main website and features a redesigned store logo. It’s fully responsive and device-friendly, enabling it to rank well for Google searches and navigation is streamlined with a custom mega-menu and shallow category navigation. Does your 3dCart store look like this? We’ll help!